Finding an alternative to cigarettes can be hard. Switching to JUUL doesn't have to be. your 6th is on us. Savings in your pocket. Pods at your door. With an Auto-Ship subscription, never worry about running out of JUULpods. Your first order ships today. Visit anytime to adjust your shipping dates and pod quantities. Once you've completed your order, we'll keep you posted with the status of your shipment every step of the way. You can always add or remove pod packs and adjust your order dates to suit your preferences. How often does my order ship? 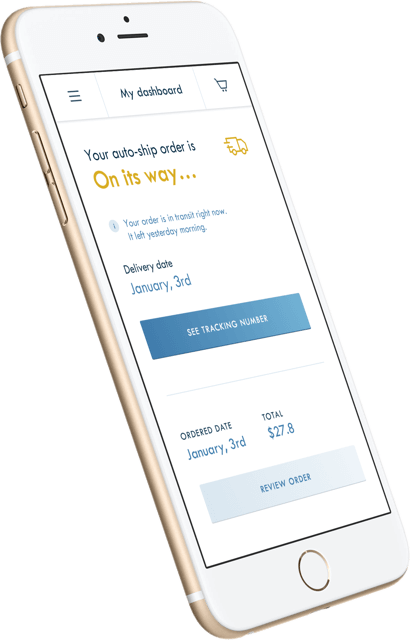 Auto-Ship orders are sent every four weeks on the date that you choose. We will send you a reminder 7 days before your upcoming order date. Running low on pods sooner than you thought? Advance your order to ship the following day. Average deliveries take 2 - 4 days, excluding Sundays. Order too much this month? No problem. 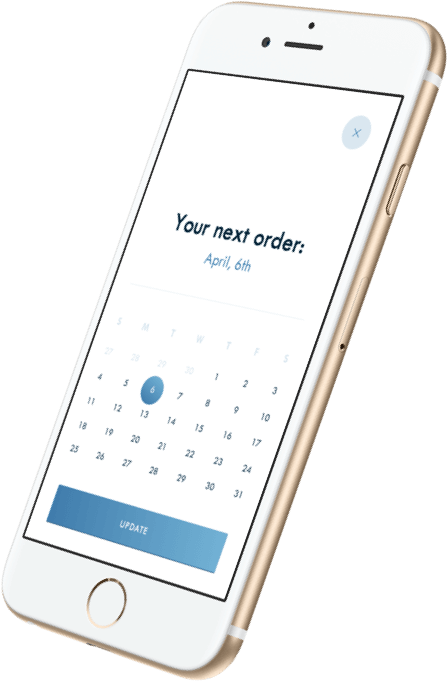 Postpone your next shipment by 30 days with one click, or pick a different day the following month that better suits your schedule.